Cash Investor Special or Rehab Loan Project with Instant Equity. Currently, property appraised in as-sits condition for $180K. Will sell to the first clean offer of $165K. ($15K instant Equity before starting the project). This is a once in a generation opportunity to own your private waterfront home with Stellar Views! 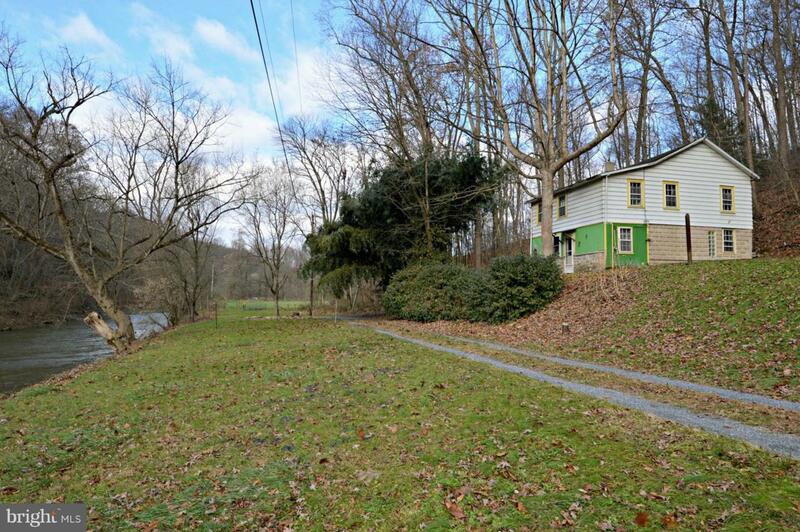 Features include water access to a beautiful wooded section of the Pequea Creek, a bamboo forest, amazing wildlife, more than 1.25 acres backing up to Conservancy Land, not to mention a separate out-building used as a workshop and storage. Property was Under Contract for most of the DOM, back on market as financing fell through (only heat source was a coal stove in living room). This property can be purchased with CASH or 203K ReHab loan. (No Conventional, VA, FHA or USDA loans will be accepted - won't qualify). House is being sold As-Is.